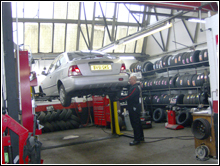 At Streetly Motor Services Ltd we provide assistance with every aspect of motoring. We service and repair all makes and models of car in our fully equipped garage. We offer MOT testing for all makes and models of car. The same high quality standards are applied to all cars. © Design by Web Function Limited, 2012.